marinate | The Eye of Faith Vintage 11.11.11. How to Cook a Unicorn! Talk about secret knowledge! 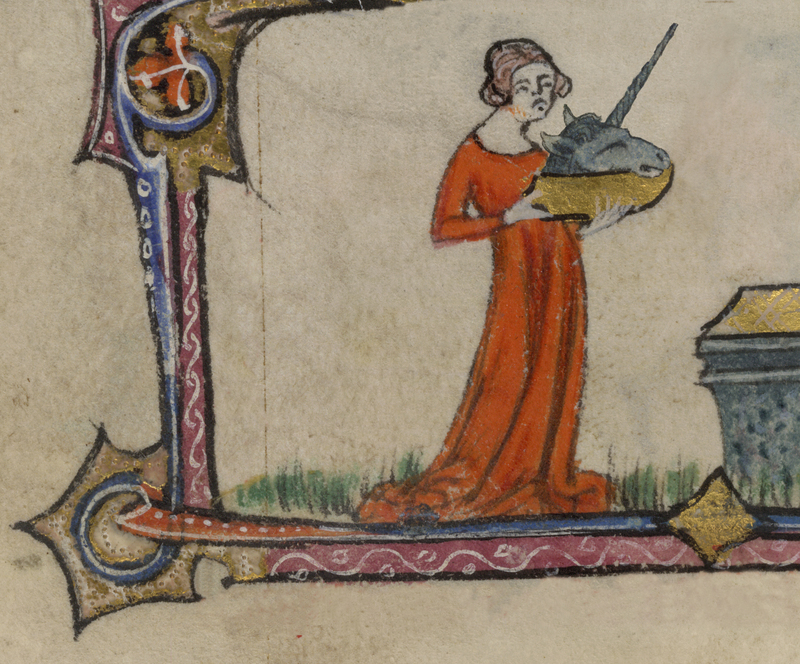 It seems scholars are absolutely ecstatic to find a long lost Medieval cookbook that includes recipes and instructions for cooking Unicorns! The book was uncovered by The British Library, and contains hundreds of recipes for classical Medieval dishes that include herring, tripe, fish stews, and pigeon, as well as a delicious recipe for black bird pie – just like the nursery rhyme! But among the most interesting of the dishes presented in the beautifully illuminated pages of the book they believe dates back to the 14th Century, is a most peculiar instruction for the preparation of Unicorn, complete with pictures! The recipe begins appropriately with the phrase “Taketh one unicorne” and continues to instruct the cook to take the meat of the beast and marinate in cloves and garlic and then roast it on the griddle. I think I want seconds, already! Scholars believe the cookbook was written by famed chef of the moment, Geoffrey Fule, who served as the chef to Philippa of Hainault, Queen of England (1328-1369). Was this all just a jest? Or, could there be some truth to the matter? Most people assume that Unicorns are only a myth, but perhaps those beautiful ponies with their majestic horns really did roam freely through the lands. Story goes that the unicorn’s horn holds magical properties that could cleanse poisoned waters and render the sick able again. Of course, you could only find them using a virgin. She would wander the forests until the unicorn, smelling the scent of virgin flesh, would greet her with his big hard spiralled horn . 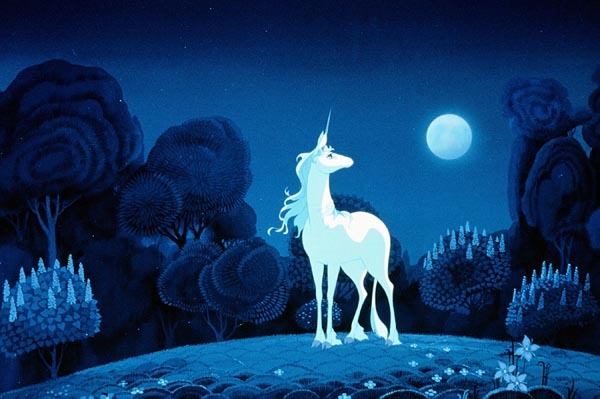 . .
Today the unicorn has been reduced to the world animated child fantasy and nursery rhymes, but thousands of years ago, the Ancient Greeks didn’t just believe in the creatures as mythical beings, but as full fledge creatures which they studied and recorded in their natural history texts. We can also find mentions of the animal and its supernatural strength in various books of The Bible. So, I guess the mystery is just bound to live on. Perhaps Fule was just using his imagination, and jotting down his ideas for a “What-if” kind of situation, but with all that heavy illuminating (which would take months on end), its hard to believe there wouldn’t have been a specific need for a Unicorn recipe. Also note that “COOKING” as we know it today, was much more of a magical and mystical art, especially in the Medieval times and Renaissance; an art that would run parallel to that of alchemy and other sacred knowledge practices. Many grimoires from the same period will contain recipes for food alongside the details to invocating spirits, so perhaps Fule was not only a reputable chef, but was somewhat of a magician, who knew secrets, such as where to source Unicorn, and the advantages and benefits to eating it . . . The idea of eating a unicorn definitely is kind of gross, but I’m sure with the proper preparation it would be tolerable – or just skip the meal and steal the horn from the kitchen wench. 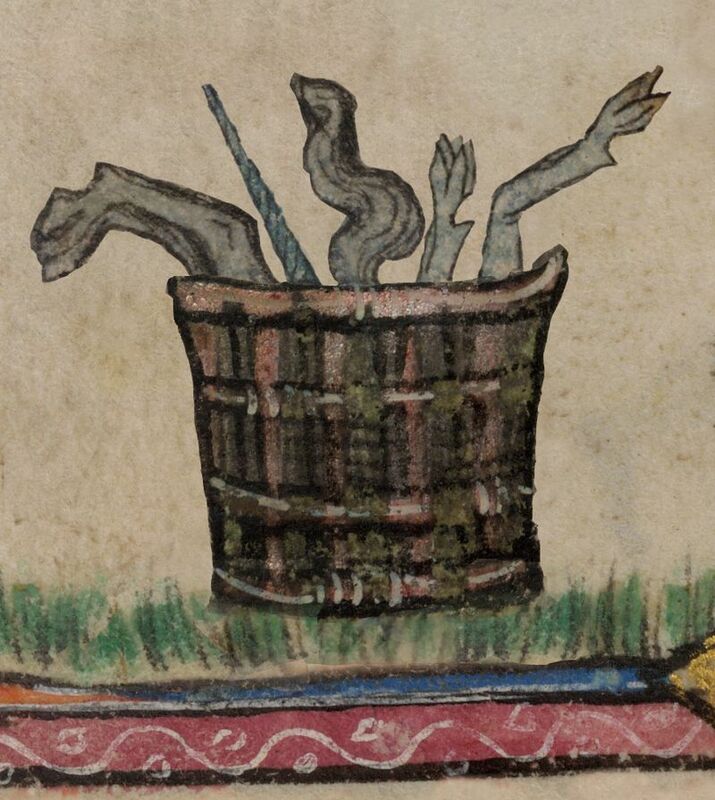 Did they once cook Unicorn meat for the King & Queens of England? It’s still a toss-up for me. What do YOU think? You can read more at The British Library website!